Even when the height of travel season sets with the end of Daylight Saving time, Austin&apos;s ever-present live music scene never skips a beat when it comes to fun things to do. For international travelers, even a meal, beverage or local outing can inspire thoughts of travel. Below are a few Austin activities we&apos;ve uncovered for travel enthusiasts to explore without having to go far, until next time! Monday, 11/2. Brush up on International Relations: GlobalAustin&apos;s Speaker Series with Professor Dr. Julian Lindley-French, a leading strategist, analyst, author, advisor, and commentator on NATO, presents the topic "Why NATO Still Matters to the United States." Tuesday, 11/3. Experience the Wines of Spain and Portugal: Join Departure Lounge for a wine educational and tasting, profiling wines from Spain and Portugal during their weekly programming. Wednesday, 11/4. Get to know India through Yoga: Experience one of the most ancient cultural heritages of India at Austin&apos;s only non-profit yoga studio, Sanctuary Yoga, during a free set of morning practices called Aquarian Sadhana. Proceeds from each class benefit the Amala Foundation. Thursday, 11/5. Taste Northern and Southern Italy: Stop in for a delicious Southern Italian lunch with the warm owners of Nmero 28 Pizzeria & Vineria, or join me there later today with a group of food enthusiasts at this authentic osteria. Afterwards, try Northern Italian cuisine via the city of Forte Dei Marmi by joining the friendly owners of Il Forte Ristorante for dinner. Friday, 11/6. See the art and design of Latin America: The Blanton Museum of Art at the University of Texas at Austin presents Moderno: Design for Living in Brazil, Mexico, and Venezuela, 19401978. The exhibition is the first to examine how design transformed the domestic landscape of Latin America during a period of major development. Saturday, 11/7. Discover Celtic, Greek, and Mesoamerican Heritage: Join the Central Texas Celtic community during their annual Austin Celtic Festival, and the final day of Austin&apos;s two-week long festivities of Da de los Muertos. 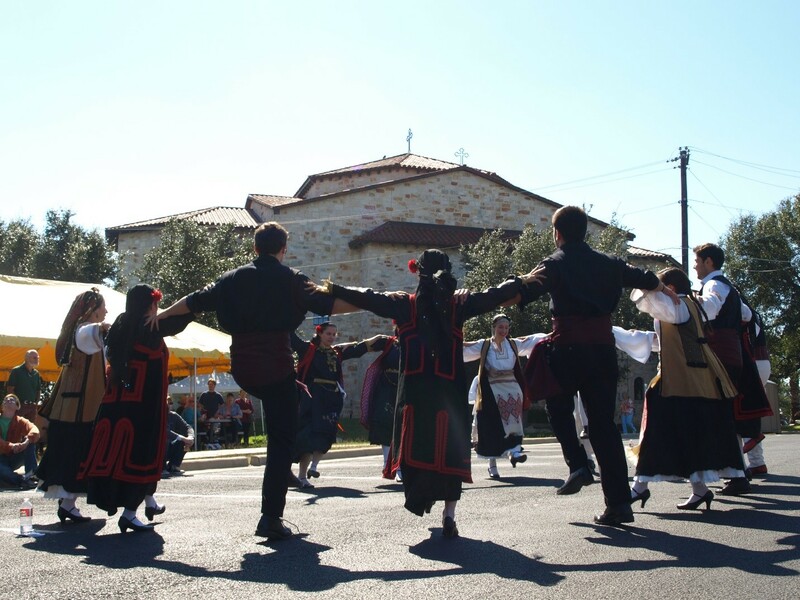 You can also head over to the annual Taste of Greece and Bazaar, to enjoy homemade Greek food, pastries, music, dancing, vendors and other activities. Sunday, 11/8. Attend an International Soiree: Join me for an exclusive evening of modern European fare, cocktails and live international music at Prelogs European Kitchen & Bar as we celebrate the international community in Austin. Be sure to tell friends about how you&apos;re celebrating Austin&apos;s international community! Fatin Kwasny is founder and owner of www.MezzeCulture.com, a new cultural guide and platform for experiencing international culture locally by connecting enthusiasts with local business activities in their own backyard.